If you need different metals in varying forms and sizes, (Rods, plates, tubes etc. ),with or without secondary operations, we can produce kits for you in packages with fasteners or other hardware. 3 Automated saw lines capable of cutting up to 17" thick material. We will even cut metal that you provide. Let us stock your metal here so you don't have to stock it! Click on our NEWS button and read about Congressman Richard Nugent recent visit to Manzi Metals corporate office. WE ARE PROUD TO ANNOUNCE THAT MANZI METALS IS NOW OPENING FOUR NEW SERVICE CENTERS, LOCATED IN ROME, NY; HOUSTON, TX; TULSA, OK AND BATON ROUGE, LA!!! Manzi Metals, Inc. is a Small, Minority, Woman Owned Business. As a Multi-Metal Distribution and Processing Center we ensure that we comply with all customer requirements and we pay strict attention to the details. Our Total Quality System, Six Sigma, Lean Manufacturing, Outstanding Customer Service and the best metal packaging in the industry help us to exceed our customers expectations. 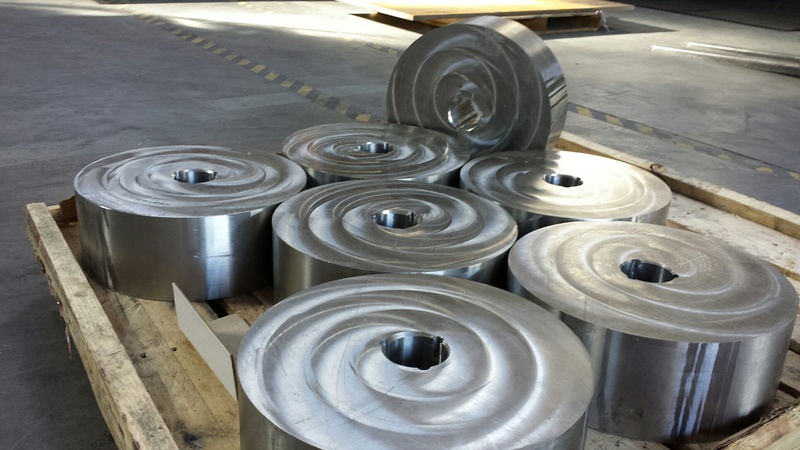 Our diverse customer base in the Aerospace, Defense, Automotive, Power Generation, Large Manufacturing and Government markets benefit from the team effort at Manzi Metals, Inc. We provide competitive pricing to customers and deliver on time. We will stock your inventory so you don't have to! We also rarely have a minimum quantity requirement. We excel at paying attention to detailed customer requirements and fulfilling every order, exceeding the customer requirements. Manzi Metals, Inc. is committed to comply with requirements and continually improve the effectiveness of the Quality Management System in support of our AS9100, AS9120 and ISO 9001 certifications. Evidence of this is our being awarded the DoD’s Nunn-Perry Award for zero defects! 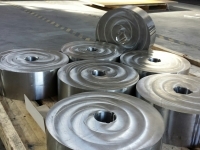 We provide rod, bar, wire, sheet, plate, billets, extruded shapes, castings, forgings, machined parts and offer various secondary operations. We have three automated saw lines capable of cutting up to 17 inch thick metal. We also offer firm-fixed pricing for up to a year! If you would like to join our newsletter to get all the latest news simply fill out the form below. Barbara Manzi Invited to the White House! Here is the Manzi Metals location above. Ask for the Manzi Metals corporate rate of $89 for any room!